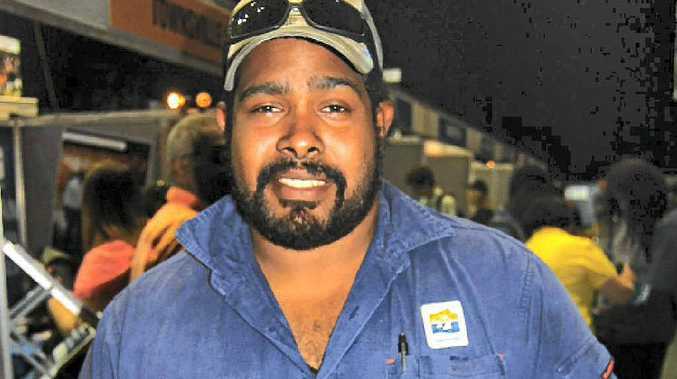 TRUCK mechanic Morrison Mosby hails from Thursday Island which is the business centre for Australia's northern outposts the Torres Strait. For several years Morrison has worked as an apprentice truck mechanic employed by Townsville City Council. "I would recommend being a mechanic as a great career for young people, especially on trucks," he said. Big Rigs saw Morrison among thousands at the Former Origin Greats Indigenous Employment and Career Expo at the Townsville Entertainment and Convention Centre on July 25. More than 1000 students from as far away as Ayr, Charters Towers, Palm Island and the Herbert River district checked out hundreds of potential careers at 52 employer exhibitor stalls. Former or current Origin greats who were special guests there included Allan Langer, Colin Scott, Gene Miles and Greg Dowling.